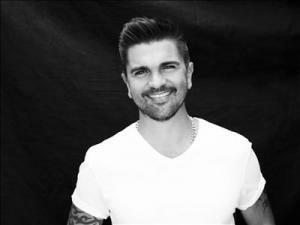 Born as Juan Esteban Aristizábal Vásquez on the 9th August 1972, in Carolina del Príncipe, Antioquia, Colombia, Juanes is of Spanish and Basque ancestry. He is a musician, singer, songwriter and guitarist, who is perhaps best known for being was a member of the group Ekhymosis, but who has released five studio albums as a solo artist, including his debut album “Fijate Bien”, for which he won three Latin Grammy Award. His musical career has been active since 1988. Have you ever wondered how rich Juanes is, as of mid-2016? It has been estimated according to authoritative sources that the total size of Juanes’ net worth is currently as high as $20 million, which has been accumulated through his successful career in the music industry as a musician, singer, songwriter and guitar player. Juanes’ childhood was very rough, as he spent it in his hometown, Medellin, during the reign of drug lord Pablo Escobar, and because of who thousands of people were killed. For him the only escape from the reality was music, and he began playing the guitar when he was seven years old, together with his father and brothers. In his teens, he was inspired by the heavy metal band Metallica, so he founded his first metal band named Ekhymosis in 1988, and so his career began. The band existed for ten years, and during that time released five albums, such as “Nunca Nada Nuevo”, which was their debut album, which came out only a month after the band was formed. The band`s second album was released the following year, entitled “Desde Arriba Es Diferente”, however, their most popular album was “Nino Gigante”, released in 1992, which spawned the hit entitled “Solo”. But, whatever Juanes did, he couldn’t gain international recognition, and after “Amor Bilingüe” (1995), and “Ekhymosis” (1997) were unsuccessful, Juanes disbanded the group. Still, Juanes continued as a solo artist, signing a contract with the Universal Music Group, and immediately started to work on his debut album, entitled “Fijate Bien”, which came out in 2000, and achieved platinum status, which increased Juanes` net worth by a large margin. His second album was even more successful; it came out in 2002, entitled “Un Día Norma”, topped the US Latin charts, and was certified platinum six times by Latin standards, as it sold more than two million copies. To speak further of his accomplishments, his next album, “Mi Sangre” (2004), topped the charts in several countries, including the US, Germany and Spain, and was also certified platinum numerous times, in Portugal, Argentine, Finland, Spain, and others, increasing his net worth to a large degree. Three years later came out his fourth solo album “La Vida… Es Un Ratico”, which followed the success of the previous release, topping the charts in Mexico, Spain and the US, and also achieving platinum status in several countries. He has released two more albums, entitled “P.A.R.C.E” (2010), and “Loco De Amor” (2014), however, his popularity began to decline, as the albums charted far lower than his previous releases, but still thanks to the sales, his net worth benefited significantly. Thanks to his talents, Juanes has received several prestigious awards, including twenty Latin Grammy Awards, and two (worldwide) Grammy Awards. When it comes to his personal life, Juanes married model and actress Karen Martinez in 2004, and although they separated in 2007, they are apparently still reconciled; they have three children together. Their current residence is in Key Biscayne, Florida. 1 Expecting third child in Fall 2009. [February 13, 2009]. 2 Established the Mi Sangre Foundation, helping victims of anti-personnel mines. 3 Winner of 12 Latin Grammy Awards between 2001 and 2005. 4 Chosen one of "Time" magazine's "100 Most Influential People" in 2005. 5 His greatest hits include "Fijate Bien" (2000), "A Dios Le Pido" (2002), "Es Por Ti" (2002), "La Paga" (2004, featuring The Black Eyed Peas), "Un Día Normal" (2004), "Nada Valgo Sin Tu Amor" (2004), "La Camisa Negra" (2005), "A Dios Le Pido" (2005, Re-release) and "Te Busqué" (2006, featuring Nelly Furtado). 6 He has two daughters with former Colombian model Karen Martínez, Luna and Paloma. 7 His brothers and sisters are Javier, Luz, Mara, José and Jaime. 9 Lead singer of former Colombian rock band, "Ekhymosis". The 57th Annual Grammy Awards 2015 TV Special performer: "Juntos Together"
Ritmes del cor 2014 TV Movie documentary writer: "A Déu demano"
Alto Astral 2014 TV Series performer: "La Luz"
The 55th Annual Grammy Awards 2013 TV Special performer: "Your Song"
Cheias de Charme 2012 TV Series performer: "Darte"
Premios Principales 2010 2010 TV Movie performer: "Yerbatero", "Y no regresas", "Desde cuando"
Don Quichote: Gib niemals auf! 2008 TV Movie performer: "A Dios le pido" / writer: "A Dios le pido"
Papito 2007 TV Movie performer: "Nada particular"
Premios Principales 2007 2007 TV Movie performer: "Fotografía", "La camisa negra", "Me enamora", "Te busqué" / writer: "Fotografía" - as Juan Esteban Aristizabal / writer: "La camisa negra", "Me enamora"
Un ratico con Juanes 2007 TV Movie performer: "Me enamora", "A Dios le pido", "Fíjate bien", "La camisa negra", "Fotografía", "Nada valgo sin tu amor", "Volverte a ver" / writer: "Me enamora", "A Dios le pido", "Fíjate bien", "La camisa negra", "Nada valgo sin tu amor", "Volverte a ver"
2007 MTV Los Premios 2007 TV Special performer: "Me enamora"
Goal II: Living the Dream 2007 performer: "LA CAMISA NEGRA"
Tony Bennett: An American Classic 2006 TV Special performer: "The Shadow of Your Smile"
Tony Bennett: Duets - The Making of an American Classic 2006 Video performer: "The Shadow of Your Smile"
Los nº1 de 40 en concierto 2006 TV Movie performer: "Corazón partío", "La camisa negra", "A Dios le pido" / writer: "La camisa negra", "A Dios le pido"
Bordertown 2006 performer: "La Camisa Negra" / writer: "La Camisa Negra"
La nocheBuena 2005 TV Movie performer: "La camisa negra" / writer: "La camisa negra"
Rosario Tijeras 2005 performer: "Rosario Tijeras" / writer: "Rosario Tijeras"
51º edición de los premios Ondas 2004 TV Special performer: "Nada valgo sin tu amor" / writer: "Nada valgo sin tu amor"
The Kidnapping of Ingrid Betancourt 2003 Documentary "Ahi Le Va", "Fijate Bien"
MTV Video Music Awards Latinoamérica 2002 2002 TV Special performer: "Here Comes the Mayo / Mala Gente" / writer: "Here Comes the Mayo / Mala Gente"
Juan Joyita quiere ser Caballero 2001 TV Series performer: "Podemos Hacernos Daño" / writer: "Podemos Hacernos Daño"
Quelli che... il calcio 1993 TV Series performer: "La camisa nera"
2013 Grammy Grammy Awards Best Latin Pop Album For the album "MTV Unplugged: Deluxe Edition."